Getting a handle on sail trim, especially in a variety of conditions, can be one of the harder aspects of sailing to master. Quantum’s Karl Felger outlines his trimming tactics for your best shot at a podium finish. 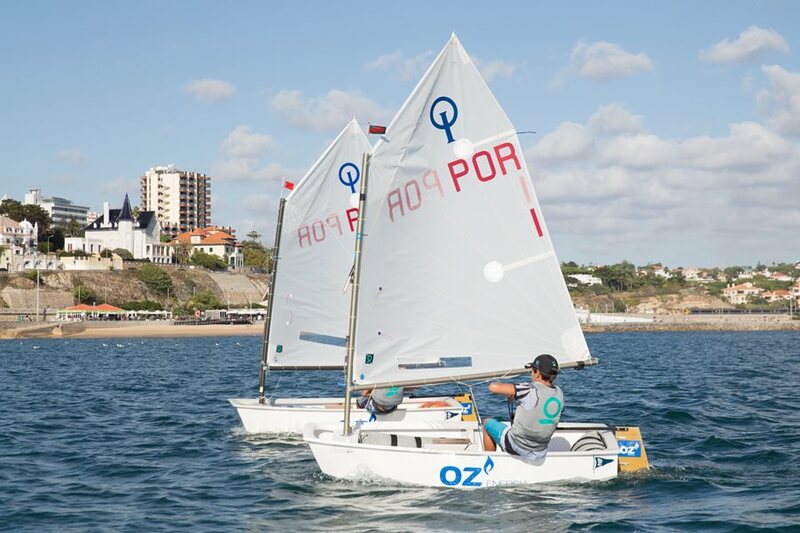 One of my biggest takeaways from coaching Optimists and junior sailors is that it’s important to stick to the basics in order to put yourself in a position to win. Getting a clean start, sailing on the correct tack/gybe, and focusing on proper sail trim will go a long way toward getting to the podium. In my book, there is a premium on controlling as many factors as possible due to ever-changing conditions on the race course. While getting a clean start and sailing on the correct tack/gybe can be dependent upon the boats around you, proper sail trim is something every boat has 100-percent control over. It’s often said there’s only a one- to two-percent difference between a good race and a great race, so minor differences in boat speed can have a big impact on your position relative to the fleet. It’s important to focus on the telltale attached to the top batten, as it is the primary indicator for proper steering and mainsail trim. When the mainsail is properly trimmed, the telltale should be stalled 50 percent of the time. When the telltale is flying off the leech, the sail is trimmed for power/acceleration, and when the telltale is stalled around the backside of the leech, the sail is trimmed for pointing. In general, the mainsail can be trimmed so the boom is just above or inside the leeward corner of the boat. Then adjustments can be made for three primary situations: light air, medium air and heavy air. In light air, the mainsail should be set up to maximize straight line speed. The mainsheet should be trimmed so the boom is above the leeward corner of the boat, and only trimmed in if the boat is going full speed. Once the boat feels like it is slowing down, the mainsheet should be eased to increase boat speed. The sprit should be set loose enough to keep the top leech telltale flowing 50% of the time, with a few wrinkles across the sprit. The vang should be set to keep the top batten parallel to the boom, and the outhaul set loose to generate power. In medium air, the mainsail should be fully powered up and in point mode. The mainsheet should be trimmed so that the boom is just inside the leeward corner of the boat to maximize pointing ability. If the boat feels slow or you are sailing into a wave, ease the mainsheet slightly to generate power. The sprit should be slightly tighter than the light air setting to increase power, and the vang should be tight enough to keep the leech profile consistent when trimming and easing the mainsheet. The outhaul should be tightened enough so that there are only a few wrinkles in the foot. In heavy air, you need to aggressively position your body and play the mainsheet to maintain balance and control. Ease the sail to depower the boat; when under control, trim the sail to point higher. Ease the sprit to flatten the sail and create twist. The vang should be tight in order to maintain control downwind and make it easy to trim/ease going upwind. Tighten the outhaul until you get a big wrinkle along the boom. And remember: HIKE…THEN HIKE HARDER! Pro’s tip: The mainsheet’s initial impact is pulling the boom in, which changes the attack angle. As you trim harder, the sheet begins to pull the boom down, changing the sail shape and twist. Remember that this is a guide, not gospel. Small adjustments can be made to these recommendations to capitalize on the various styles and techniques you may use. It’s also important to remember that trim is a dynamic animal. It takes constant attention, adjustment, and feedback to maximize any sail design’s true potential.